Pho is a group of Vietnamese street food restaurants dotted around the UK. You’ll find them in Oxford on the roof of Westgate, serving up tasty dishes from nutritious noodle soups and aromatic curries to spicy salads, herbal teas and fresh juices. If you fancy something a little stronger, they have an extensive wine list and craft beers. Pronounced ‘fuh’, pho is not only the name of this street food company but also the name of this type of food originating from Vietnam. In short, it’s soup. But it’s also so much more than that! The soup is a type of clear, flavoursome broth made with rice noodles and either chicken or beef. Other delicious ingredients include bean sprouts, herbs, spring onion, chilli and just about anything else you fancy trying in your pho. Thanks to the wide range of restaurants we have in the UK, many of us are now used to eating pho and ramen soups. And they’re talked about for all the right reasons. Pho is the ultimate comfort food; both satisfying and warming (and good for you). 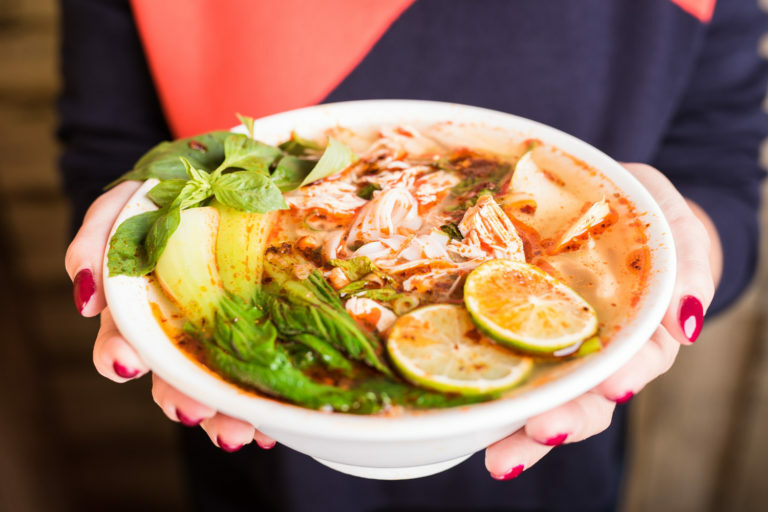 The pho phenomenon will be continuing at FitFest Oxford in June, as the popular street food company will be serving up their best broths and delicious dishes for you to try. They have a carefully thought-out menu catering for a wide variety of dietary requirements. Most of their broths are gluten-free (yay, rice noodles!) and there are naturally very few dairy products used in Vietnamese cooking, too. Their menu clearly labels every dish and they even helpfully share their nutritional guidelines as well. Seeing as this type of food is naturally low in fat, low in sugar and generally quite healthy, they’re happy to tell you exactly what is going into your broth, and you’ll be pleased to know that you’re putting some goodness into your body. At Pho, their most popular dish is, well, you guessed it: pho. It’s what they specialise in, so it’s always a winner. Their customers’ second favourite is the Asian chicken salad, packed full of flavour and under 300 calories. Many coeliacs love their fried baby squid because most fried foods typically contain gluten, but, instead, the chefs lightly fry the squid in potato starch. If you’re a vegan, you should definitely try the tofu and mushroom curry, lovingly made with coconut milk. 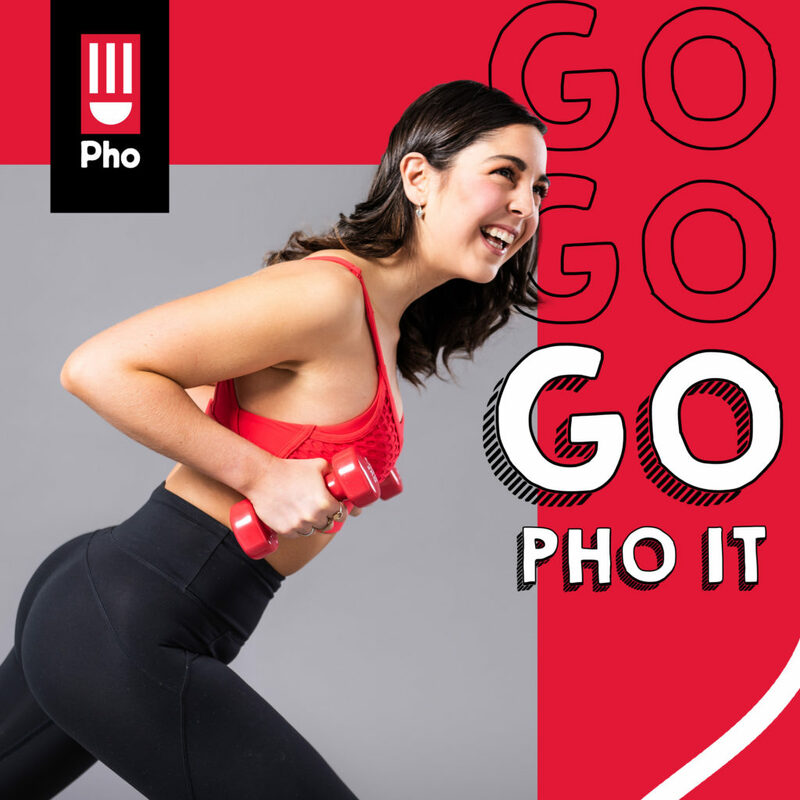 Pop by Pho’s stand at FitFest Oxford and you’ll find warming noodle soups, freshly-rolled summer rolls, naturally healthy options and guilt-free Vietnamese salads, plus plenty of gluten-free, vegetarian and vegan options. But it doesn’t stop there! They’ve launched a new fitness-inspired specials menu with high-protein, low-calorie dishes. 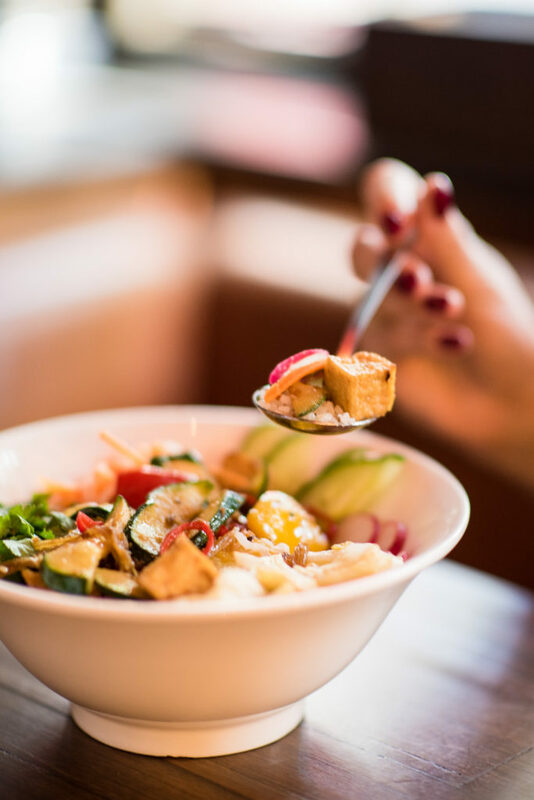 From cauliflower rice bowls and spicy salad rolls, you’ll definitely find something to enjoy from Pho at FitFest Oxford.